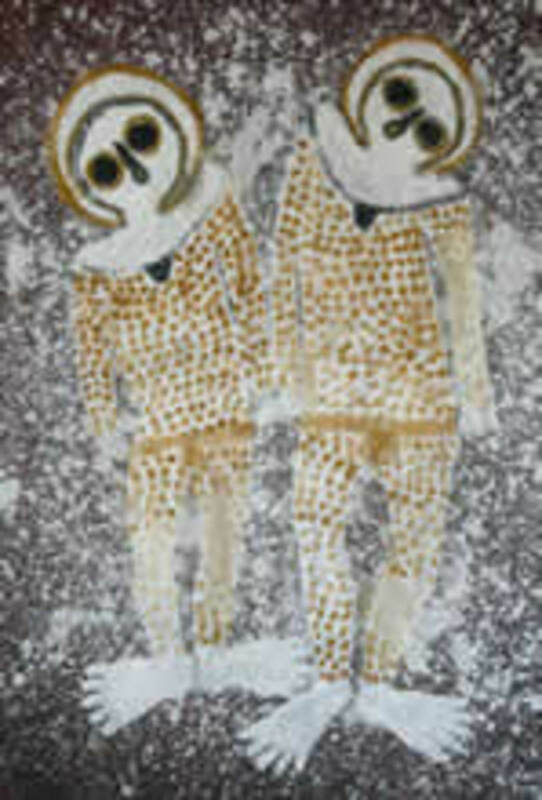 Wandjina (also spelled Wondjina) were fertility gods of the Aborigines, the indigenous people of Australia. According to legend, during the Dreamtime (the time of the creation of the world according to Aboriginal legend), with the help of the other spirits of Aborigine lore, they created the sea and the Earth and everything it contains. 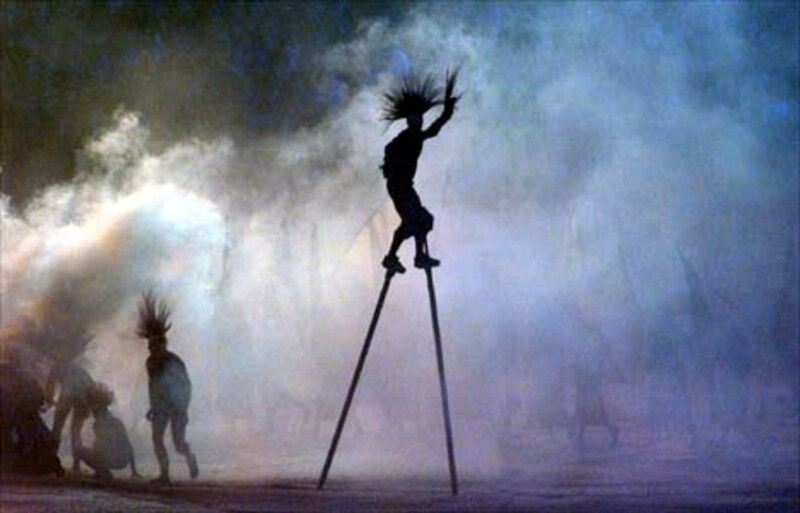 The Wandjina are believed to hold the power to bring clouds, lightning and rain which make the land fertile, giving life to all. 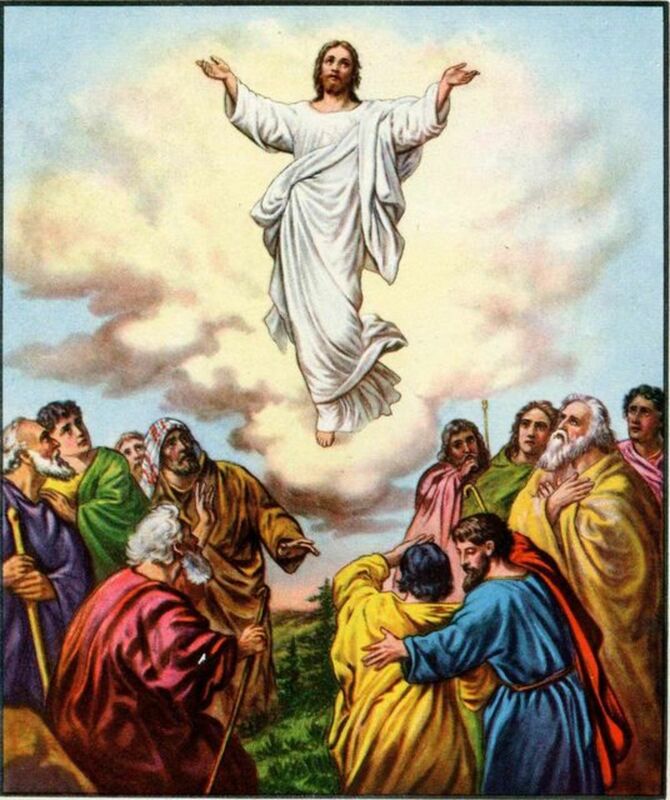 They came from either the sky or the sea, depending on who is telling the tale, and were generally good spirited, though they would often argue with each other. 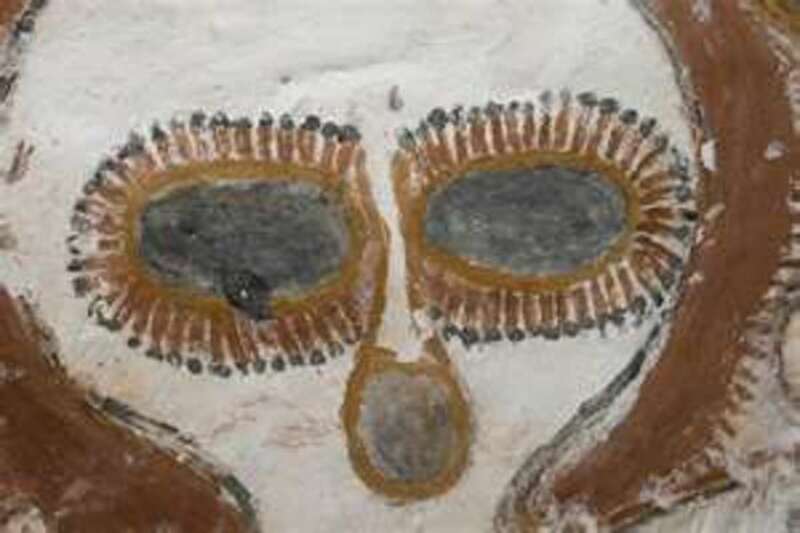 Legend has it that the Wandjina once wiped out all of the Aborigines by lightning and flood after two children were caught torturing an owl (the sacred bird of the Wandjina). Oddly enough, the Wandjina somewhat resemble their sacred bird, with their large eyes and light skin. It is said that the Wandjina lived among the Aborigines and taught them many things before they turned into cave paintings throughout Australia. The Aborigines believe that the Wandjina still control the lightning and rain from their cave drawings, and retain the power to destroy the Earth if they are angered, so they go to great lengths to make sure that these cave paintings are preserved, as well as call out a warning before bringing visitors to see them. 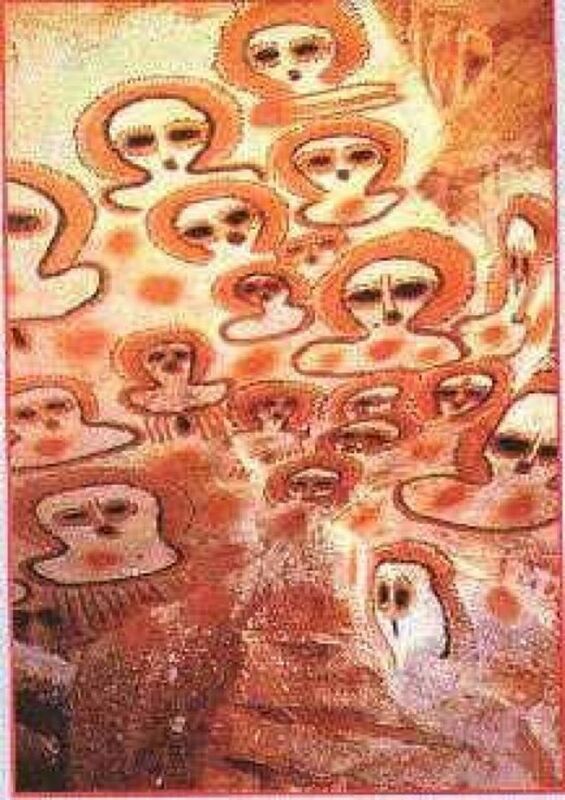 The Wandjina, with their large eyes, light skin, and no mouths, most curiously bear a striking resemblance to the Grey aliens that are described by the 'victims' of reported alien abductions. 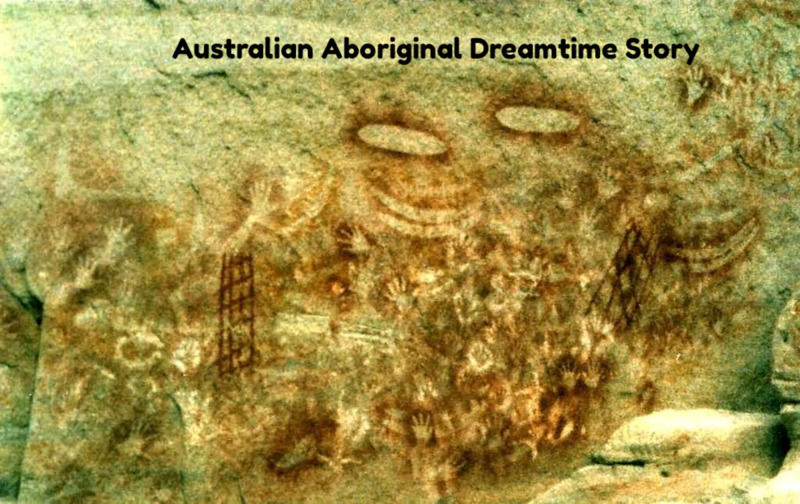 Some people believe that the Wandjina could have been extraterrestrials, that for a time, might have lived among the Aborigines in Australia, and have since moved on. Could this theory be true? Nobody really knows for sure. Is it possible that aliens, or extraterrestrials, whatever you prefer to call them, may have lived amongst us on the Earth? And if they had, where did they go and when will they return? I think that even if this theory is not true, it fun to think about the possibility of life outside our small world, and what extraterrestrials might be able to teach us about life, technology and much more..
T. M. Apsey's author page. 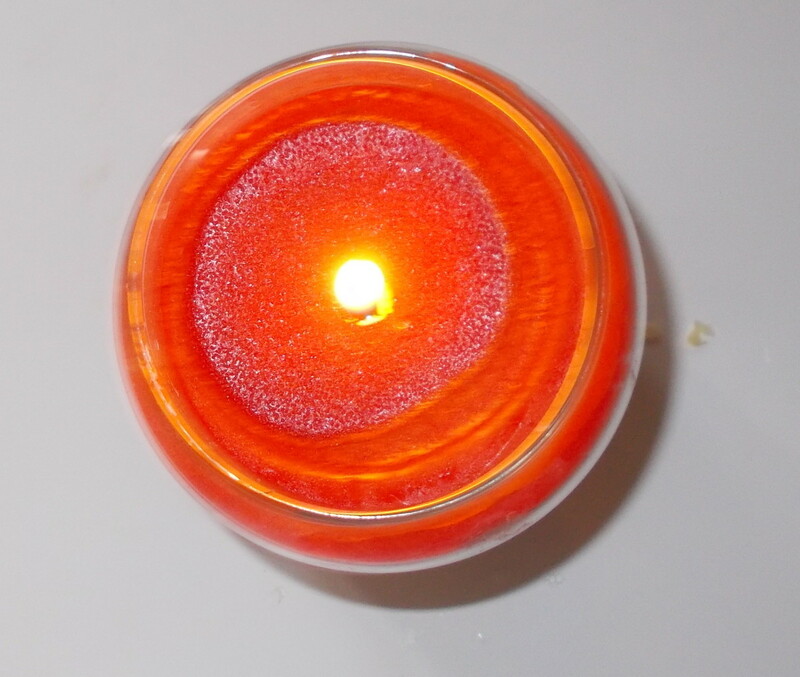 The best place to find all the latest published articles and blog posts by T. M. Apsey on HubPages and The Skeptic Religion Scholar. Hi, fascinating, I would imagine they were probably a lighter skinned tribe from somewhere else that the aborigines had never seen before, or maybe aliens! Alien influence explains a lot about sudden technological advances by mankind. good article. It IS fun to think about all of this! Have you seen these paintings? If these paintings do control lightning, I suppose I have a beef with them, as my computer fried over the weekend when lightening came too fast for me to turn it off. This is very interesting article and the drawings really do look like the aliens portrayed in those abductions. Thank you for a great read.